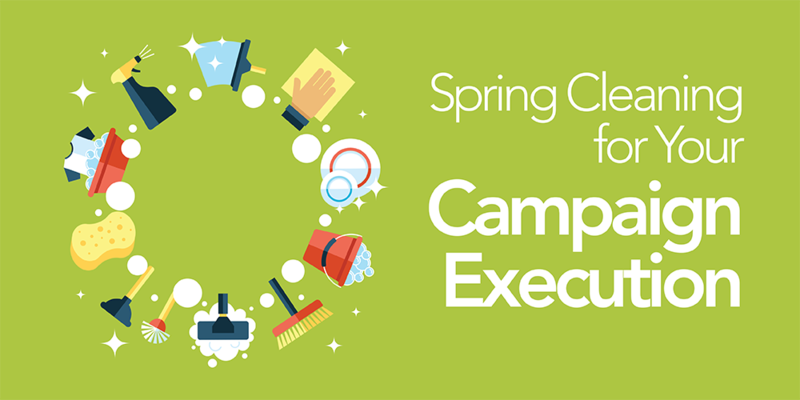 Now that Spring is in the air, it’s perfect timing to shake the winter dust off and refresh your campaign execution practices. As a Project Manager and Campaign Execution expert at DemandGen, I’ve been able to identify some handy tools and processes that have enabled companies to run a well-oiled machine, so let’s pull out the marketing WD-40! Could some of your practices stand improvement in one of those areas? If so, consider a spring spruce-up with some of these ideas. A library of different emails and campaigns with varying “looks and feels” can be offered up to your users to pick from, so all they have to do is add content and images. The purpose of templates is not just to protect your brand, but to keep things simple for your users and cut down loads of time in the email build itself. By designing templates that are different enough so that not every email looks the same, but alike enough so that it’s easy for users to fill in the options, you greatly increase the likelihood they’ll be used. Having this template inventory also facilitates education in how long it takes to build within each of those, which in turn improves the timeliness of projects. Knowing the difference between using an available, pre-built template versus building something from scratch (which can take four times as long to build! ), and being able to quantify this in hours and in dollars, ultimately helps people recognize the impact to their bottom line. If you aren’t already using templates, take the time to build just one or two to fit most common types of emails or campaigns your users send and watch what happens! Significant benefits can come from limiting the number of users who build emails or campaigns. 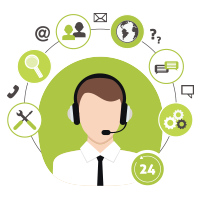 It may seem counter-intuitive, but it’s often more efficient to have just two or three people internally assigned to manage request intake and tickets, build the emails, and perform quality assurance. Not only does this take the onus off salespeople or other users so they can focus on their primary jobs, but (almost more importantly) it helps ensure that the projects get done in a timely and accurate manner. We tend to find a substantial quantity of errors in situations where a large number of people are working in the system because they end up all doing their own — and sometimes very different — things. Keeping the ability to create emails/campaigns limited to just a few well-trained people helps to control quality and productivity. Now may be a good time to make a change to your user authorizations! Another quick point: do you have two sets of eyes looking at every email and every campaign to make sure no mistakes are being made? Having a solid QA process implemented prevents those silly, elementary mistakes from making it through your wall and reflecting poorly on your company. LOE (Level of Effort) and SLA (Service Level Agreement) standards are just another way of setting expectations, and everyone does better when they know what to expect. Make sure your timelines are well thought out and communicated to the group. That way, when someone in the organization needs an email to promote a webinar, for example, they will know how long it will take to build that email and when they need to submit their request and can plan far in advance. If you haven’t established these guidelines, or if it’s been a while since you’ve shared them, make that a task on your spring cleaning list. Creating list segments BEFORE you need them makes it easy to target the right people in your marketing efforts. Let’s say someone wants to have a webinar for certain roles in the healthcare industry. You want to already have this segment built out in your database: this industry, these titles, these location verticals down to zip code. All the user must do is select the right list segment to make sure the message reaches the right group of people. A look at recent campaigns and upcoming marketing plans should give you a good idea of list segments that would be useful to establish. How much are people looking at how successful their emails and campaigns were, and evaluating that data to understand what they can do better next time? Pulling routine performance reports can teach you a lot about how your messages are working with the audience. Is your content standing out, and staying up to date? When are, you sending your campaigns, and is that the best time? 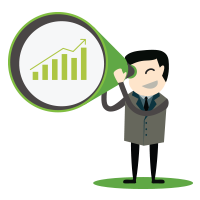 Don’t let these reports fall by the wayside: they are your key indicator to how your marketing is succeeding or failing. Make a spring resolution to diligently review (and share) reports. Good process is a springboard to success! The most successful organizations we work with are the ones that have carefully thought out and implemented well-designed processes in these areas. When components are not built in or well considered, those are the processes that aren’t successful or aren’t adopted by the users. As marketing automation is evolving, more and more people see its value and want to use it. With these best practices in place, your smooth-running marketing automation machine becomes something everybody can and will use for your company’s greatest success. Kate Iafolla is a seasoned Project Manager credited with combining demand generation expertise, operations implementation best practices, and a strong marketing automation skill set to drive quality products and deliverables of all DemandGen services. With years of experience in campaign execution, she has helped her clients build up a solid set of standards, and enabled them to set forth on a better and more profitable execution strategy.